QUEBEC—The man who shot dead six worshippers in a Quebec City mosque in 2017 has been sentenced to serve 40 years in prison before being eligible for parole. Quebec Superior Court Justice Francois Huot called Alexandre Bissonnette’s attack gratuitous and insidious as he handed down the sentence on Feb. 8. Bissonnette, 29, pleaded guilty last March to six counts of first−degree murder and six of attempted murder after he walked into the mosque at the Islamic Cultural Centre during evening prayers on Jan. 29, 2017 and opened fire. The murder victims were Mamadou Tanou Barry, 42; Abdelkrim Hassane, 41; Khaled Belkacemi, 60; Aboubaker Thabti, 44; Azzeddine Soufiane, 57; and Ibrahima Barry, 39. First−degree murder carries an automatic sentence of life in prison with no possibility of parole before 25 years. The Crown had recommended that Bissonnette serve six consecutive sentences totalling 150 years, while the defence argued he should be eligible for parole after 25 years. The Criminal Code was amended in 2011 to allow a judge to impose consecutive sentences in cases of multiple murder, but it was clear as Huot spent nearly six hours reading the 246−page decision that he was wrestling with the constitutionality of the law. 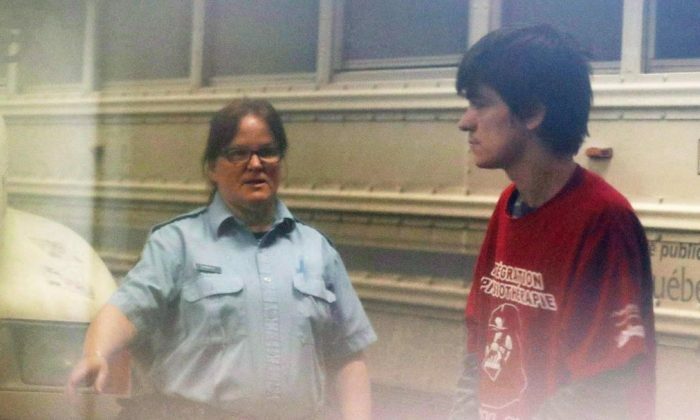 Among the aggravating factors Huot cited in determining the sentence were the “well−planned and highly premeditated” nature of the crime, the number of victims, the fact they were in a house of worship, and the hatred of Islam that motivated Bissonnette. In addition to the men killed, five others were struck by bullets, including Aymen Derbali, who was shot seven times and was paralyzed from the waist down. The sixth attempted murder charge related to others who were nearby in the mosque. During sentencing hearings last June, the conversation began to shift to the appropriate way to punish a crime that was, in many ways, unprecedented in Canadian history. During sentencing, prosecutor Thomas Jacques argued that a 150−year sentence would be proportionate to the “carnage” Bissonnette inflicted on the city’s Muslim community and trauma suffered by the rest of the country. He painted Bissonnette as a calculated killer who was “looking for glory,” and specifically targeted a group of people based on bigotry and hatred. But Bissonnette’s lawyer, Charles−Olivier Gosselin, portrayed his client as an anxious and fragile man who deeply regrets his actions and is not beyond rehabilitation. He argued a 150−year term would be the equivalent of a death sentence and would run counter to sentencing principles under Canadian law.